In February, Samsung released new, ultra-durable, brushed metal, SD and micro SD cards. These cards not only look sleek, but are also waterproof up to 24 hours in water, shockproof withstanding up to 1.6 tons of force, and magnet proof resisting up to 10,000 gauss. Samsung’s new cards are also fast, available in a High Speed Series or the Plus Extreme Speed Series, both of which deliver up to 24MB/sec read speed. Yet, not nearly as fast as the XQD cards we wrote about last month . 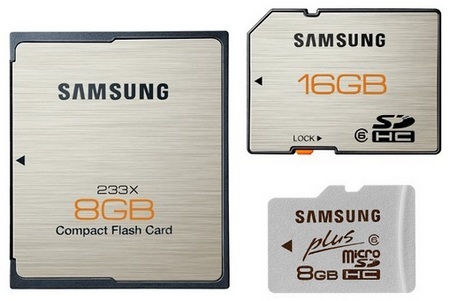 The price for Samsung’s new indestructible cards ranges from $10 for a 2GB card to $90 for a 32GB card.